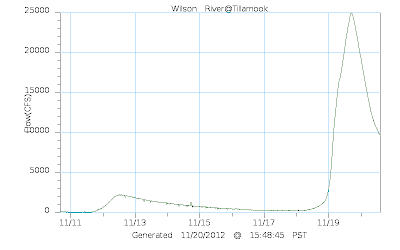 With the recent big time storm, our rivers took a huge hit, and levels are blown out for a couple of days at the least. The best odds for success coming up would be if you are planning on fishing a smaller creek/stream which will clear up quickly, but if you plan on fishing the larger rivers like the Wilson, then you are at least several days off. 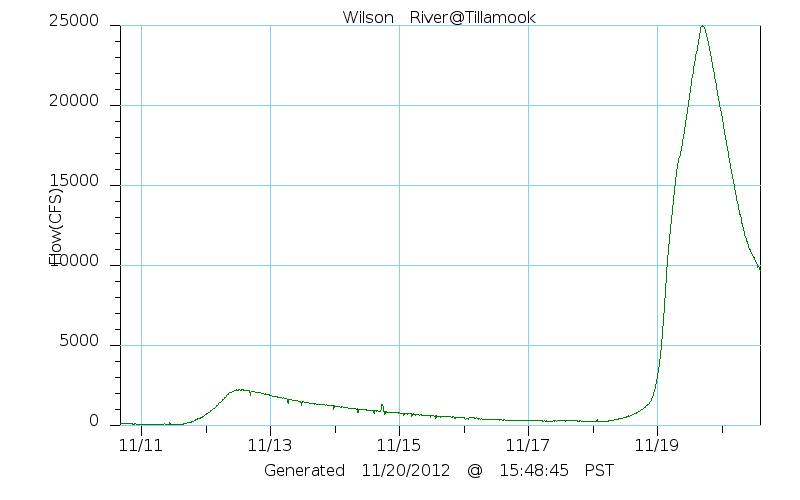 Luckily the Wilson hit flood stage last night, and now it is dropping like a rock. 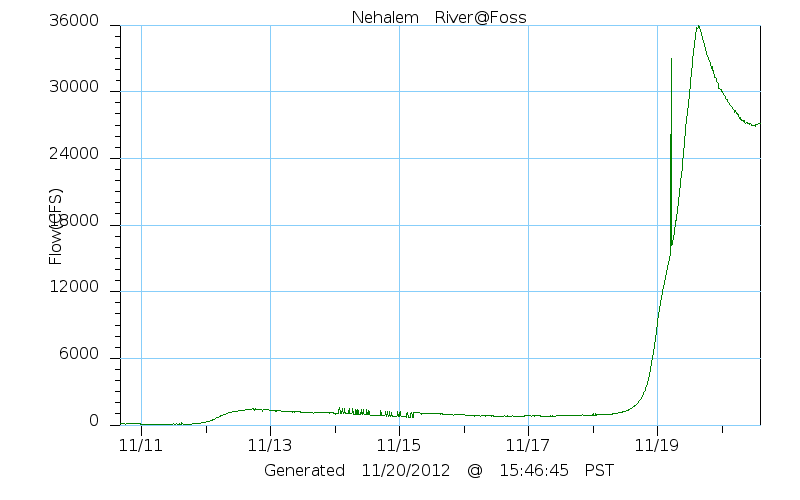 The Nehalem River on the other hand really rose a lot, and it will be at least a couple of weeks to drop into a fishable levels. 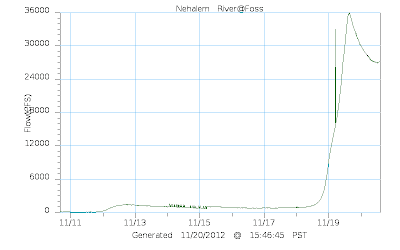 Hatchery steelhead should running viably after the river levels fall for those rivers that get planted like the Wilson, Alsea, Siletz, Clackamas, Sandy, North Fork Nehalem, Gnat Creek, & Big Creek(to name a few).The runs should be strong through mid January; so get yourself out there as soon as levels drop to get into this wonderful early winter opportunity. With all of the weather I know I am developing some "cabin fever", and I am really itching to get out for some fishing. Since there is not much angling that can be done in the area of northwest Oregon, I have put up a short video for you to enjoy. This will hopefully get you all fired up for the winter fly fishing action that you have to look forward to. It was filmed late last winter, and it was a really hot pretty buck steelhead.